VideoPad Easy Video Editor Rus. 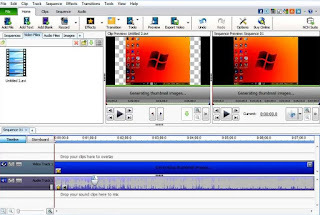 From NCH Software: Create movies and edit videos of many different formats with this video editing software for Windows. Make things look professional by choosing from over 50 visual effects and transitions including chroma key or green screen technology that will amaze you. Fine tune color and visual effects. Burn to DVD or upload to YouTube and other social media. Creating great looking videos or movies is now easy with our intuitive user interface.